Here’s your chance to push yourself to turn out that rough draft that every writer must create. At the end of November you will have a product that will definitely need to be edited and polished before it’s ready for publication, maybe for months later. But won’t it be great to have it done in a month instead of dragging on for years? 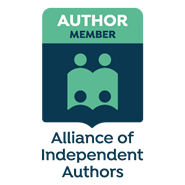 You get tips and encouragement from published writers, industry leaders and fellow writers.